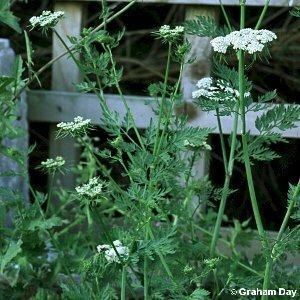 An umbelliferous species superficially similar to the much commoner hedge parsley (Anthriscus sylvestris) from which it differs by having obvious bracts below each partial umbel. This species is a weed of waste ground or roadsides. All names: Aethusa cynapium L.